Features: Freeze drying involves the removal of water or other solvent from a frozen product by a process called sublimation. 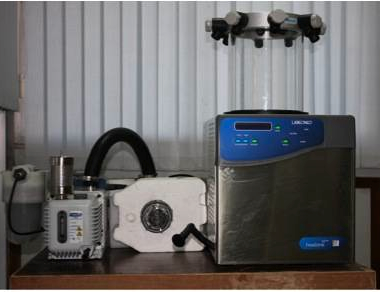 In contrast, drying at ambient temperatures from the liquid phase usually results in changes in the product, and may be suitable only for some materials. Location: SMITA Lab, IIT Delhi, Hauz Khas.